When hiring a cleaning contractor for your office, retail store, or business, you have certain expectations. You want somebody who is going to be reliable. You need cleaners to know what they are doing. And you expect attention to detail. Contract cleaners often work unsupervised by their clients. So their cleaners also need to be honest, hard-working and committed to doing a good job every time. So how can you get all that when hiring new cleaners for your business? Let’s just be honest: There are a lot of cleaning companies providing services for New England businesses. And not all of them are good. If you are currently hiring a new cleaning contractor, you probably already are familiar with one of the bad ones. So one of the most important actions to take is to ask for references from prospective new cleaning companies, then call their references and find out what they have to say. In many cases, you may be surprised by what you find out. It’s also a good idea to get more than one bid before hiring a new cleaning company. Get at least two and preferably four or five. This allows you to compare pricing and services. 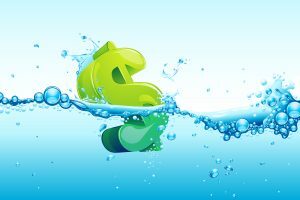 Price is often the biggest consideration companies have when hiring a new cleaning company. But hiring the low bid cleaning contractor is often not the best option. In life, you usually get what you pay for. So when you hire the cheapest cleaners, you can expect to get low-cost services. More important than price are the three R’s: Reliability, reputation, and responsibility. Look for a new cleaning company that will not only do the job efficiently and affordably but also assigns workers who genuinely care about the cleanliness of your business. All Bright Janitorial Service offers the three R’s and much more. When you want high-quality cleaning at affordable prices, make All Bright Janitorial Service your first call.